The Virtual Coquun-Hunter River Project is a collaborative endeavour begun in December 2000 which aims to create a digital repository of early accounts and descriptions of the Hunter Region. 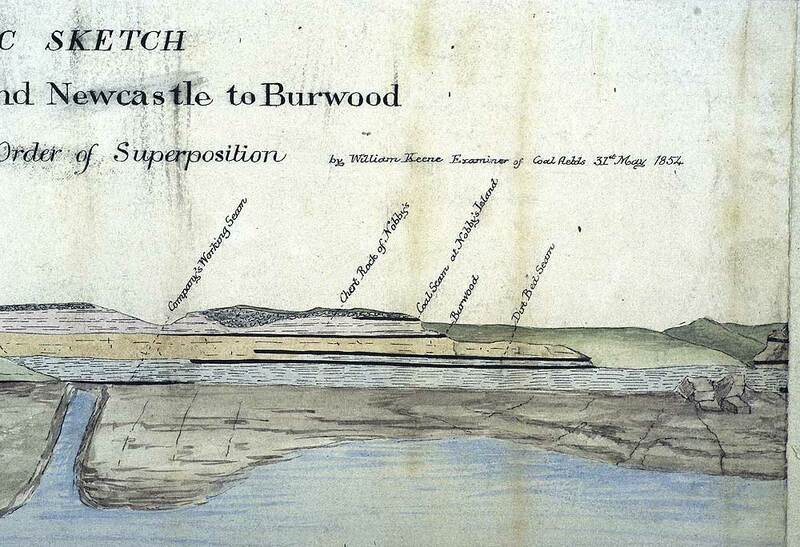 Other Title: "Newcastle Coalfield - Stratigraphic sketch (in colour) from Nobby's Island to Burwood, showing coal seams." To see a larger image, please click the image below.